Orange is now selling the iPhone 3G in Jordan. The iPhone is sold with a one year commitment condition. iGold 500 cost 29.99JD (158SR/$42) each month with 500 minutes, 500MB and 250 SMS monthly. 8GB iPhone cost 299JD (1,581SR/$421) and 16GB cost 369JD (1,954SR/$521). The Enterprise add-on Bundle 30JD (158SR/$42) each month with unlimited data and 1000 SMS monthly. 8GB iPhone cost 299JD(1,581SR/$421) and 16GB cost 369JD (1,954SR/$521). The iDiamond 2000 plan is closest thing to the $199 price point mentioned by Steve Jobs in the WWDC 2008 keynote. 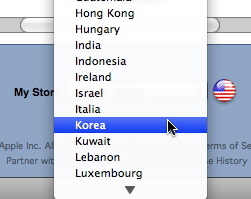 Jordan, like Egypt, is still missing from the App Store country list. And Arabic language is missing from the iPhone as well. You can read the iPhone Arabic manual on orange’s website. Apple finally released an official iPhone user guide in Arabic. Hopefully actual Arabic will be added to the iPhone soon. The iPhone 3G in Jordan is sold at any of the stores listed here.